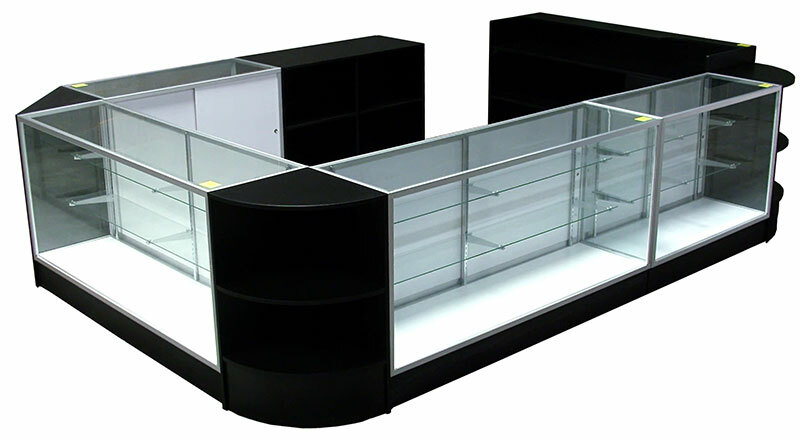 We offer a variety of display cases that can be used as an individual unit or can be combined to create your custom showcase. 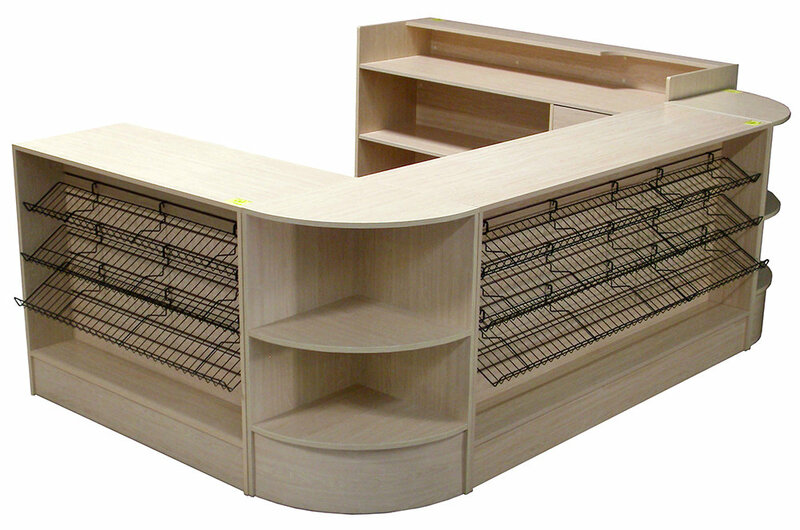 Our checkout counter selection consists of corner cases, cash register stands, wrap counter stands, vision showcases with glass front and much more. All of the showcases are available in black, white and maple colors. 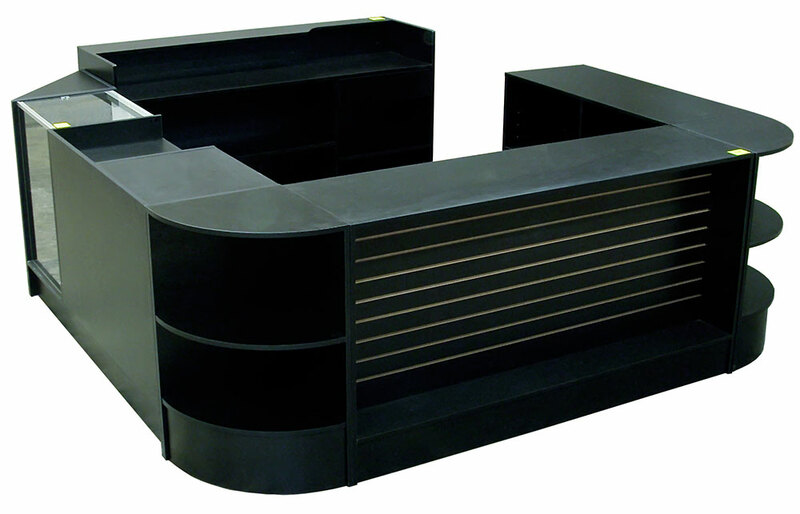 Retail kiosks commonly encompass a wrap counter stand, corner block or filler, service cash wrap and showcase. Our retail kiosk kits can accommodate nearly any retail shop, museums, branch stores, gift shops, boutiques, and service outlets This combination offers you ample amount of storage for all your requirements right at your fingertips. This example consists of the following items.